Devolver Digital has added a new speedrun setting in Minit across all platforms including Nintendo Switch. Alongside the new setting is the Minit Speedrun Community Event, where the winner will win an exclusive Minit Speedrun World Champion T-shirt. 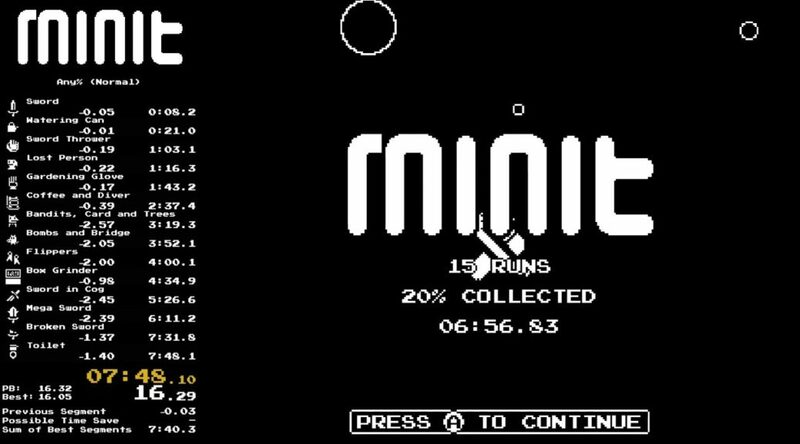 The quick-footed adventure Minit has received a new speedrun setting and challenged the community to beat the current world record with an exclusive ‘Minit Speedrun World Champion’ shirt on the line. The new setting and community challenge are accompanied by a 25% discount for Minit on Steam, GOG, PlayStation 4, and Nintendo Switch, discount availability will vary by region during the community challenge [speedrun.minitgame.com]. The winner of each run will receive a custom Minit Speedrun World Champion shirt, a Minit plush, and a Devolver Digital game pack. Details and rules can we found at speedrun.minitgame.com. Minit is available now on Nintendo Switch, PlayStation 4, Xbox One, and PC.